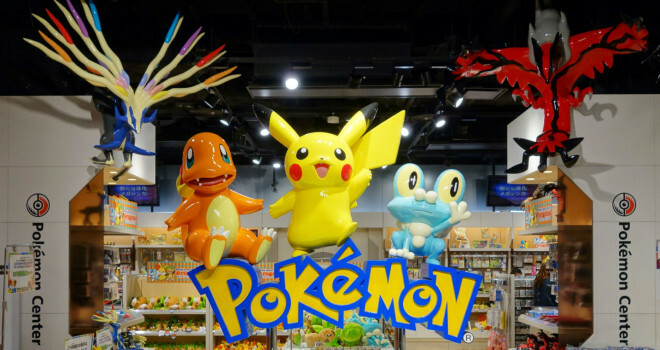 Years ago, the Pokemon Center online store was a place where Pokemon fans could purchase all sorts of Pokemon merchandise such as plush dolls, trading cards, posters, clothes, and more. In 2008, the online store closed down. In recent years, most Pokemon Center merchandise could only be found in Japan. Now it looks like westerners will be able to get their Pokemon fix online once again starting August 6 with the re-opening of the Pokemon Center online store! The Pokemon Center website is up and running right now, but there are only three items available with a timer counting down to the grand opening. There was once an American Pokemon Center in New York, but stopped selling Pokemon items exclusively back in 2005 when it became a Nintendo store. A select few people were shipped a free preview of some of the new merchandise which included: a delivery Pikachu plush, Pikachu canteen, Pikachu iPhone 5/5s case, and a hard-cover Pikachu notebook.